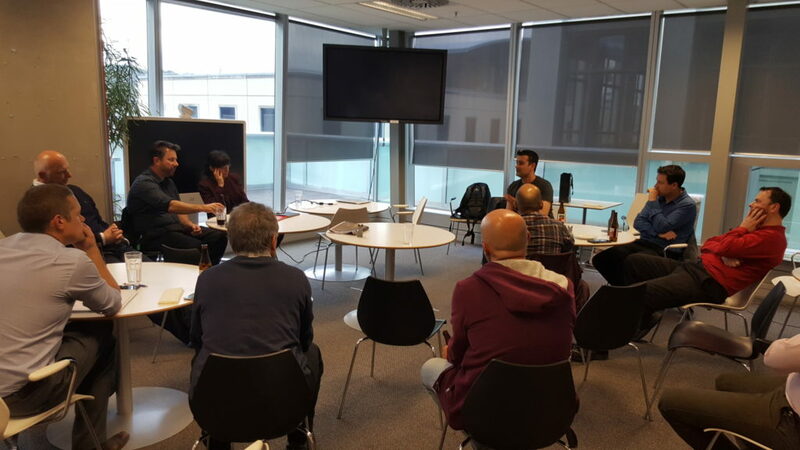 I had the opportunity to present at the recent local Mulesoft user group meet up in Wellington and shared my experience with Mule ESB. In particular, a whacky project where I used Twitter to turn on an LED with a Raspberry Pi and Mule ESB. Check out the video below of the talk. The slides can be found here. After the presentation there were a discussion arounds the necessity of schema’s, philosophical design questions, and even a few (technical) jokes thrown in as well. Us geeks do have a sense of humour! Niket also talked about the road map of Mule which was useful as well. The audience was varied with people from NZTA, Integration Works and others. The group is looking for people to contribute and share their experiences with Mule as well so contact Niket if you are keen. Thanks to Niket and Lawrence for a well run meeting with great discussions and the pizzas. I think the jury’s still out on whether the Donald Trump pizza was the best or not!